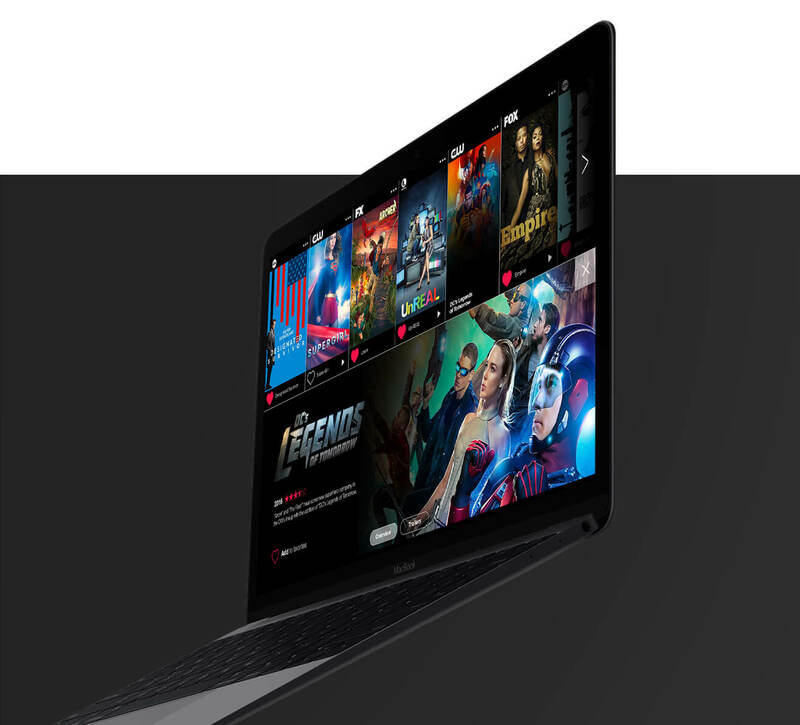 This project was borne out of a need to simplify the incredibly complex TV-buying experience and address a universal, industry-wide pain point that no TV provider has solved. People hate TV companies, but they freakin’ love TV. 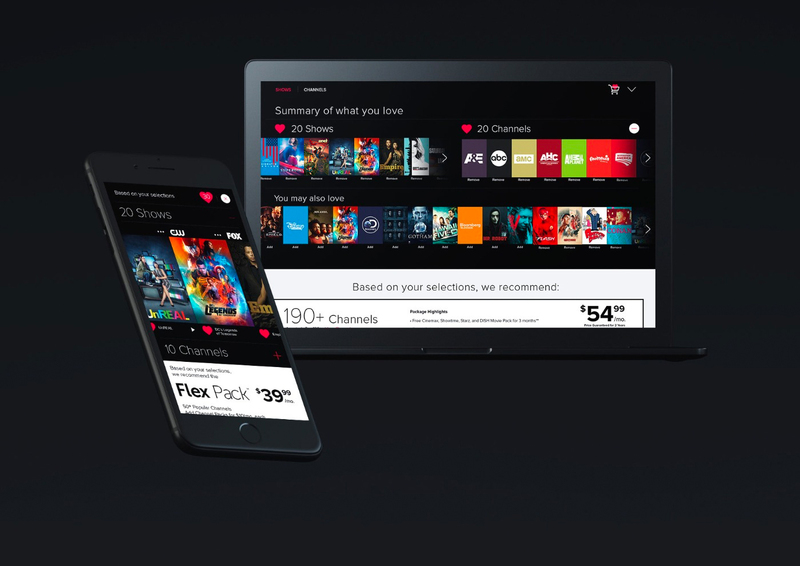 The path was clear: to make buying TV a simple, effortless, and transparent experience, we had to break down the barriers between consumers and the TV they love. In other words, we had to make the “annoying TV company” disappear. Experience is the new product; today’s customer experiences are just as important as the products themselves. Going into this exercise, we knew we had complete freedom to re-examine the user experience, but couldn’t touch the product, existing business rules, or processes in any way (for example, package constructs). So instead, we embraced a human-centered approach to selling. behind the screens, automatically building out the best-fit TV package for each customer. 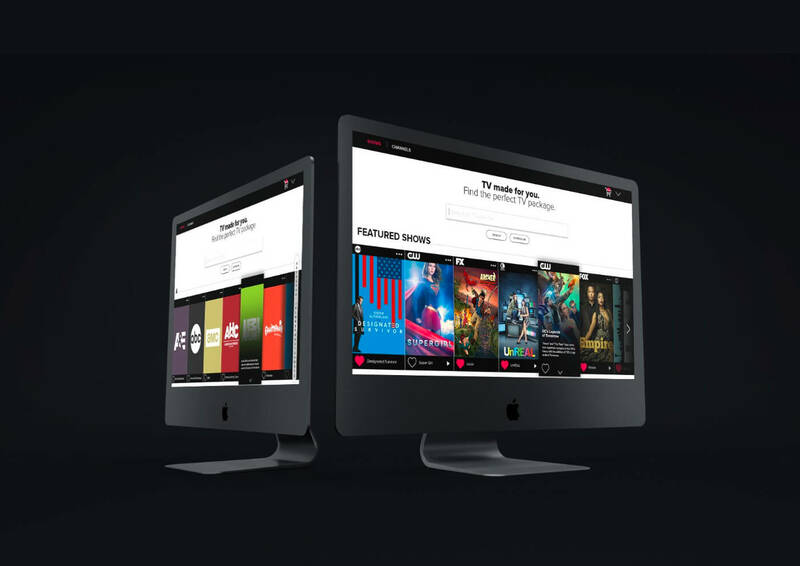 The project included a new digital voice, guiding design principles, and development of a mobile-first MVP, including package configurator and cart. Same product. Brand new love. 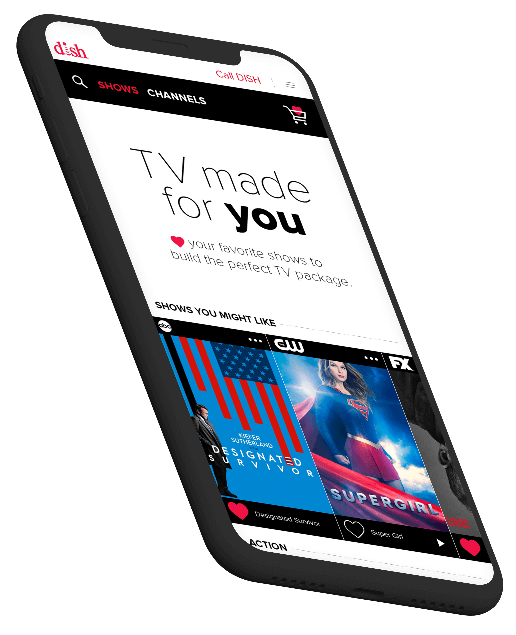 traditional TV packages, develop rapport with prospects through the content they love, and seamlessly right-size users into their ideal TV packages. In addition, we were able to reframe consumer perceptions about the DISH brand and service, all without changing the product one bit!